Hide deals from seller "Dave Rose Automotive"
Hide deals from category "Auto Repair & Services"
Limit 1 per person and 1 per transaction. Valid toward products and services. By appointment only. Full value of Gift Certificate must be redeemed in 1 visit. 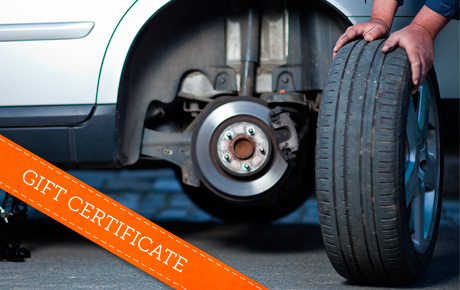 Get your wheels spinning with 50% off a $20 Gift Certificate to Dave Rose Automotive in Streamwood. This full-service automotive center offers services ranging from wiper blade replacement and oil changes to inspections and repairs. In business for 30 years, Dave Rose Automotive is a family-owned auto repair shop that provides comprehensive care for your vehicle in a friendly environment. Owner Dave Rose uses his vast experience to provide the highest quality services with honest, straightforward pricing. The mechanics at this shop go above and beyond to ensure that all clients are satisfied with their services. Take care of basic maintenance or major repairs with this high-speed deal. A family-owned auto repair shop in Streamwood.